Overview: Forgiveness, the profound letting go of grievances, provides a key to reclaiming the essential self and building healthy relationships. Ironically, each type holds specific resistance’s to forgiveness which are tied to the type’s survival strategy. The barriers to forgiveness, the costs of holding grievances and resentments, and how the barriers to forgiveness be worked with are all explored here. In reading and responding to this blog, bring an open mind, heart, and spirit and an example of something or someone (could be yourself) you need to forgive. 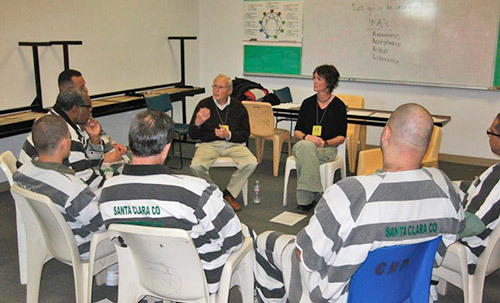 In working with inmates for the Enneagram Prison Project (EPP), I rediscovered how, “We are all prisoners of our own making,” as Susan Olesek puts it. And a key to remaining in this “self-imprisonment” is the lack of forgiveness. This is key to both those incarcerated as well as for the rest of us. First, we need to define forgiveness as both the pardoning of offenses and the releasing from resentments. And here’s a critical distinction: Pardoning an offense does not mean we deem the offense as unimportant nor deny the consequences, but rather, an allowing for penalties to be applied in a way that is respectful to both offenders and pardoners.